On the afternoon of August 13, 1943, a TBF-1 Avenger, (Bu. No. 24031) , was returning to Quonset Point Naval Air Station after a training flight when the engine suddenly lost all power. At the time this occurred, the aircraft was at an altitude of 900 feet over Narragansett Bay. The pilot turned into the wind and made an emergency water landing with wheels and flaps down. None of the crew were injured. The aircraft was assigned to VT-2. 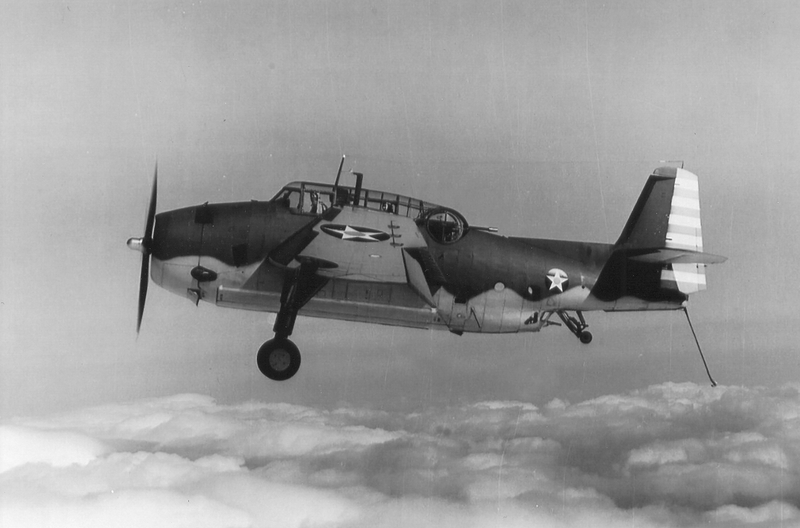 On the afternoon of August 3, 1943, a TBF-1 Avenger, (Bu. No. 24028), with a crew of three aboard, left Quonset Point Naval Air Station on a navigational training flight. When the aircraft was about fifty miles southeast of Quonset Point, and over the Atlantic Ocean, an oil line broke causing the pilot to turn back towards the air station. When the aircraft was about two miles from the base, and at an altitude of 1,000 feet, the engine suddenly stopped running. The pilot made an emergency water landing, but the impact with the water tore away the bomb bay doors causing the plane to rapidly fill with water and sink within 45 seconds. The pilot and turret gunner escaped, but the radioman, P. E. McCarthy, went down with the plane and was drowned.